Hey there beautiful people, it’s you girl here coming to you with yet another blog. If I keep this up I’m going to be such a proud mama very soon. This blog is my baby and I treasure it so much 😭😭. In the spirit of internships and work let’s talk office look. Dressing official has never been my cup of tea. I’m more of a rugged jeans and sneakers type of girl. Coming for internship has made me get out of my comfort zone. I’ve had to wear suits and know how match my casual wear with my official pieces. I still don’t know how to piece my items together but definitely have a vague idea of how to slay my office look. From short dresses to tailored pants I have gather enough information on these official look. You have five days to slay and look your very best in the office. Physical impression is also very important apart from skill. You can’t show up in the office with tattered clothes and worn out items. The clothes don’t have to be new or designer but they have to presentable. You can make an old item work pretty well and look totally classy. Dressing that tailored suit with a cute top can go a long way. A nice chiffon top has never harmed anyone has it? My ladies you know that chiffon are “see through” and trust me a I have a lot of those in my closet 😂. What I do is wear a singlet first or a light vest top to hide my “skin” from the world. I don’t want to go flashing their entire office when am here trying to build my career. Leave alone a chiffon top even a casual tee can work just as well. It does have to be a plain tee with a high neck line. Don’t go there with the plunging neck lines and low cut neck lines you know unless it’s a casual environment. A legal environment requires one to be at the utmost respect even with the clothing ( which is so hard you guys 😭). So yeah a cute casual tee tucked into you pants and a nice blazer and you have your official look. Comfort is key!!!! And smile as much as you can. Some us of who doesn’t know how to wear heels have to wear flats or ballet shoes every single day are we like that don’t we? I sometimes wish I could wear heels so I could pull of that stilleto and jeans look but we go with what we can. I love my short skirt, stockings and flats look. Before this internship I was like “am going to totally slay that office with this extra office pieces” look at me now piecing together the items I have and going with it. I still slay the office and feel comfortable. Hey beautiful people, it’s your girl here with yet another blog. Two blogs in one week, am on a roll here. I am trying to catch up with the weeks I have not posted so I can get back on track. So from next week it might be two blogs a week (am not sure but maybe) or not. A book review as promised. How do people start book reviews? I did not do enough research for this but I just wanted to share my thoughts about a novel I just read. It might be helpful for the book lovers out there to know a bit about this book and maybe even get it. We all have different taste in novels but if you love,love novels you can read every single novel that comes your way 😊. As for me I am more interested in fictional novels with supernatural storylines (like the shadow hunters series novel), romance novels (duuuh am a girl who is a hopeless romantic 😂) and a bit of investigation novels (personally I don’t read John Grisham but if it’s really interesting I would). I would recommend the “shadow hunters series” to anyone who loves novels. This book review is one a series book called “The Ravens Boys” by Maggie Steifvater. It’s part one of four books which am going to dig in as soon as possible. Book one introduces you to the journey of four boys and a girl who take an adventure to find if spirits exist or not. They actually believe they exist and are trying to find a specific spirit. The main character is a girl called Blue, who is from a very unique family. The other four boys namely Gansley, Adam, Noah and Ronan. They all become friends and it makes the book a whole lot interesting. Stay safe and be happy. Hello beautiful people, it’s your little girl here. I know this blog is overdue but at least it’s here right? I have up down every single street in Nairobi making career moves. Am here now and am here to stay (hopefully 😁). I hope each one of you has been great and achieving their goals one at a time. I believe in setting goals and trying to achieve them. It gives you such satisfaction to accomplish them. You feel like you’re untouchable, like am a freaking “goal guru”. Anyway the excited news I have is that you’re girl got an internship. It’s what I’ve been upto the past three weeks ( though I have the book review written just waiting to be posted). I started my internship at an organization in Nairobi and it has been a roller coaster since I started. I am learning great amazing things that I can incorporate in my daily and career life. It’s going to be an interesting journey and I want to take you guys along. I am horrible at posting consistently but I have been taking lessons on how to improve on that. My dream is to grow as a writer and be a known blogger. To achieve that needs work and determination and persistence (which I lack). If one wants to achieve something you have to work for it, right? I do plan on working consistently on this blog and be posting amazing content for you guys. I’d love interact with you all in the comment, leave some advice or any topic you’ll like me to talk on around the two categories. Hope you all enjoyed the brief blog and are excited for the next few weeks of my life as I am. Is Sue planning a double post or nah? 🤔 we’ll never know. WordPress: give it a like, follow and comment. Hey my beautiful people welcome back to yet another blog by yours faithfully. This week let’s talk serial killers, all the juice on this dangerous criminals. Feared by many, yes? I do realize in Kenya there are no many cases as compared to the western countries. Also, in this day and age it is easy to track a killer. Well, with all the science and technology. It is in my believe back then in the 1970s science was not that well developed even getting someone’s DNA was a struggle. I am very fascinated in crime documentaries and serial killers. I have most of them in YouTube and learnt a thing or two about how they think, act and why they do it. By serial killing I mean, mass murder. Let’s venture out of Kenya for a minute and take ourselves to the states, we are there? Good. There was this man named Ted Bundy (feel free to search his documentary on YouTube), he was one of the most notorious serial killers in America. I have sung the story of ted Bundy to my friends over and over again. The guy was found guilty of killing 35 women or was it 65 am not really sure of the numbers and those are the ones he confessed for a lesser sentencing. He was conniving and manipulative and to make it worse a law student. Ted Bundy was a smart person having being able to escape prison twice. Maybe serial killers are smart, to be able to commit all those murders without being caught. Well, ted Bundy did portray psychological problems having had a confusing childhood when he found out his sister is his mother. He used to target a particular physical appearance in women. Most serial killers usually have a mental health problem which triggers them to commit the murders and not feel guilty for them. In most documentaries, they portray no remorse for the death of hundreds of people including children. Sentencing for mass murder is a death penalty which is still legal in Kenya but it has been a while since a death penalty had been done (topic for another day my lovelies). The manipulative nature of the killers makes it easier to lure people to their traps. They also usually have a pattern with their killings which is usually evidence for the serial killings. The pattern in their murder is a huge help to finding them. Though it is hard to catch them because outside their murderous state they are known as loving people some even with families. There was a man who had a lovely family when committed his first murder all because he felt a rush when he was chocking an innocent girl, he continued with the murder usually at a particular place. Fascination with serial killers, digging deep into their lives and mental state has taught me that they had a good childhood, until a point reaches where they just break mentally. The reason they don’t feel guilty is because they think what they are doing is right, as if they are righting a wrong (except the creeps who did it for fun). Ted Bundy was hurt by his mother and a girl who had similar features so to him all women were bad and need to be punished, he was drawn to the ones with similar features. Those documentaries teach a lot and show one how to take care out there, not everyone is an angel right? This wasn’t really a law session but more of fascinating topic. Let me know if I should write long blogs or keep them short and brief. Thank you for reading and watch out for my next blog. Someone needs to learn about strict consistency for her blog to grow. Anyway, hello my good people and here is another exciting blog. Why has this person posted so late, well not that late? She was suffering from post-avengers’ infinity war stress disorder but has now recovered. Today’s segment will be about lifestyle for specifically ‘how to style a studio apartment’. I am sure gradually I will talk about lifestyle more on YouTube and stick to law on my blogs but for now writing is more fun. 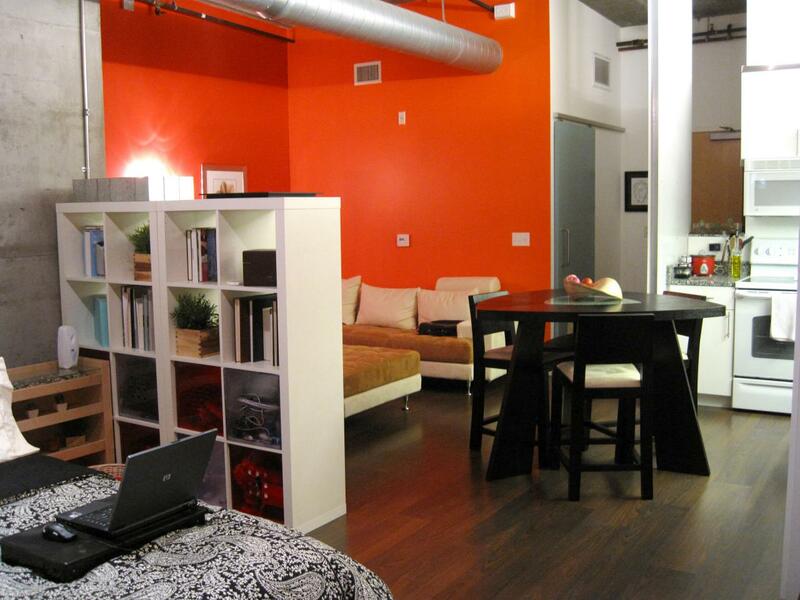 So, what is a studio apartment? Its more like a bedsitter but bigger and more defined with separation. Rather than just a biggish room it was a few wall separations. It depends on what studio apartment you go for, I guess also a bedsitter qualifies for studio apartment (a small studio apartment). So first we deal with the separation. You won’t want your bedroom and Living-room to be in one space for better privacy one can go for a bookshelf. A pretty bookshelf always does the trick. 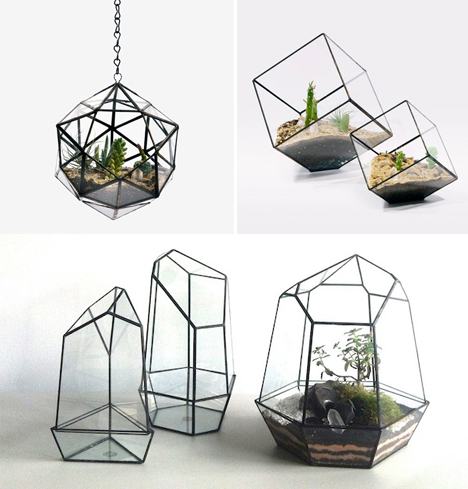 You can fill the bookshelf with books (of course) or go for DIY items and those cute geometric pieces (I will definitely pin a picture below), also some greenery won’t be so bad like some small potted plants. Or if you don’t like the whole shelf separation you can hang a sheer curtain but that requires hand work. A couch can also be a good separation piece. I am more into L-shaped couches. I think they look classy and are just an amazing piece to have in your home. Putting more colors in the room will make it more defined. Just not throw all the colors in there, go for a theme like black and white, grey and red, rose pink with white, a gold theme. I am definitely drawn to a black, grey and white theme. Yes, a carpet makes a place look less empty, a cute furry carpet never harmed anyone. Can we talk living room for a moment, apart from the couch one can add some big throw pillows and a bean bag because why not? I can not advise a coffee table, we don’t wan the room to look packet. We need space to move around (and have turn ups my people). A tv can be hanged on the wall or just kept on a tv stand. I am really into DIY items especially when it comes to decorating. No one said hanging up printed photos is a crime. Go to Pinterest and download some quotes and cute photos (channel has amazing photos), get some frames and hang them systematically on the wall, or just stick them to the wall if you can’t get frames. There is really no need to have separation to the kitchen, an open floor plan is a good way to go. Throw a fridge there and your cooker. Some pieces for the kitchen such as greenery can lighten up the place. We obviously don’t want to forget a mirror for those mirror selfies. It will go well in a preferred corner in the house. I prefer a corner beside the bed. A few Christmassy lights around it to throw in the pintrest vibe. We have gotten the idea that your girl is a pintrest addict. If you feeling up to it you can hang a mirror next to the door just to have a classy vibe in your home, a circular mirror does the trick with those gold frames, babe you got the class in your pocket. For the students such as myself don’t dare leave out a study table need that education and good grades, where it goes really depends on how the room I designed. On a study table, create a more study vibe, your books arranged either laying on the table or up against the wall, sticky notes all over the wall (my way of reminders). This was more a girly room decor because well I am a girl but I will research and get the guys covered as well. Thank you for reading and watch out for my next blog. No promises of a day but it will be up next week. I have decided to have two segments in my blogs to create a kind of organization of ideas and also have a good plan on what to post and attract an audience. The two segments will be “know your law” and “lifestyle by sue”. With that said welcome to this week’s blog of know your oo1 “extra judicial killings”. Well we all hear someone has gone missing then later on is found dead in a ditch somewhere. Other instances where police have killed someone during demos or just cause the certain police suspects something fishy about the person. All that is known as extra judicial killings. It is usually defined as killings which are not authorized by the court in the Black’s law dictionary. A case arose from githurai (I don’t know who has heard about it), where some police shot and killed a man saying that he was a thief and a few years later he killed the man’s brother. The sister decided to go and talk to confront and the police threatened her. Instead of the police to face the consequences he was just transferred to another police station so that the issue would die down. In the news we will see how people who were found dead especially during the election period, all that is extra judicial killings. The issue is very serious but it is never taken into consideration. Mainly because the evidence always disappears and there is no proof of any murders happening. With no evidence there will be no case, right? The same police who supposedly killed someone will be investigated by his colleagues. Who is to say they won’t help him not be seen as innocent? There is an organization known as independent police oversight authority (IPOA). The main goal of IPOA is to investigate police shortcomings such as the violence during the UoN demos (which is a whole other topic). Therefore, basically these killings are happening around and most people don’t know what it is. In 2016, Kenya had the most police killings, which is actually sad. The penal code of Kenya cap 63 covers all there is to know about criminal law, such as these killings. Next time a person dies at the hand of the police you’ll know what it is. Some of the police who were used by the government to perform such acts have to flee the country for their safety, because they might as well be the next to die. Thank you for reading, don’t be afraid to share the blogs. Very many exciting things did happen during the week. Being consistent is proving to be a very hard task, very hard. I need tips from those people who post blogs everyday or make videos every day. I have been swarmed with school work the past days, I had cats and research work to do. One included an interview which was hard to do considering am a very shy person. I am trying to improve my esteem skills, pushing myself to do things I never think I could do. Presenting in class is usually the worst time of the entire semester. Just standing in front of my fellow students is usually patronizing, I picture all the criticism that must be going on in their minds or what they’ll say later. Pursuing law has been a dream but there comes the practicing part, where I have to go to court and present my cases. Well, when that time comes we shall see how your little girl performs. Having a little writer’s block here just a little though. Am trying to come up with topics to write about every week like a different law related issues (like criminal law which I am passionate about, find me at 3 am watching crime videos), lifestyle related topics, anyone can suggest topics they would like me to write about. 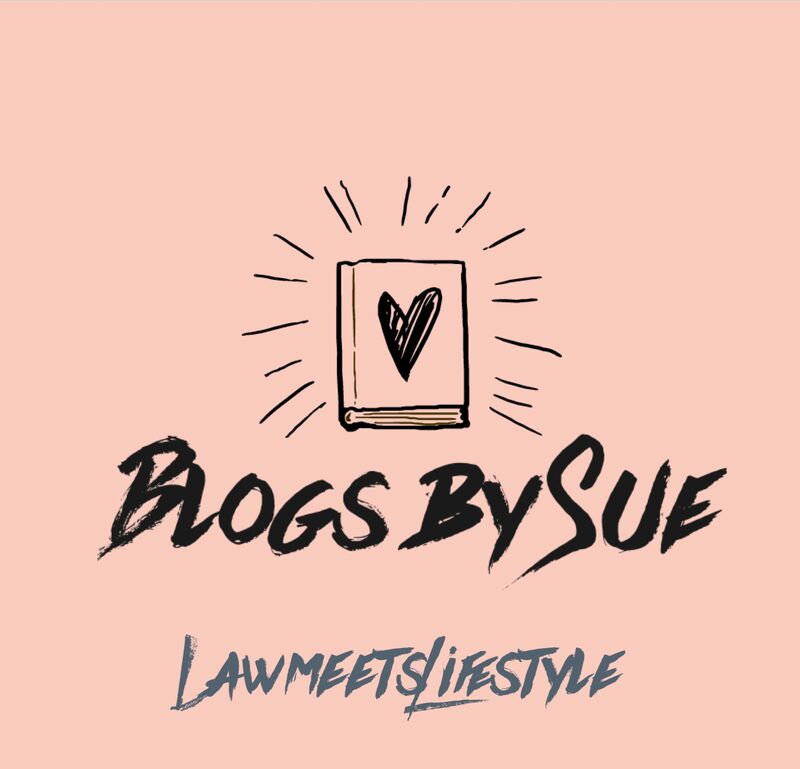 In this blog I would talk about a day in a law student (obviously me) since this blog post is so overdue. So my day generally starts at 7 am with more than one snoozes, life is much better without an alarm clock, right? I convince myself I can work out but realize am already running late. The previous night I had given myself a pep talk of how I will wake up early and work on my abs but that never works (oh yeah I can also give a topic of my workout routine when I get one). I shower, have breakfast then try on one too many outfits to get one that suits the day and my mood. I can try on at least three outfits before I get that one amazing one. Girls get me right? Denim never goes well with denim, get the right jacket and shoes, it’s a hectic life. I am somehow OCD so my bag is always packed in a particular order everyday and I do it the night before to save on time. I then leave for school at around 8:30 the time which the class is supposed to start, African timer. I get to class on time sometimes and then comes the lectures and notes and trying to comprehend what the hell is going on. I rarely go to the library because I never get any work done where WiFi is available, so I hang out with my friend for while before heading back home. I normally do my skin care routine which is quite short before settling down for the night. If I have any research to do this is usually the time I do it or any cat or any reading I have to get done. That’s basically my day, five days a week. Monday is usually my busiest day of the week, my classes usually end at 6:30 and that is usually stressful. The unit called conflict of law is one confusing unit. All you hear is just some funny Latin words being mentioned by the teacher but you just pretend you’re understanding whats going on in the class. This came very late and wasn’t as long as I wanted it to be but I will improve on that. My second blog and I couldn’t be any prouder of myself. I have a great support system and I am grateful for that. I am open to any suggestion about my blogs and I will be happy to hear from you guys. Thank for the patience and also reading this blog. If they say it is impossible remember it is impossible for them and not for you. Well this the beginning of the journey to becoming an author, an advocate, a better me. Career wise, emotional, physical and mentally. I have always wanted to do blogs but the scared part of me always held me back. Preventing me to pursue what I know I wanted and needed. It left me feeling unaccomplished, a sense of failure. A few things made me not start this blog; fear of criticism, fear of failing, excuses and many others. Now I know if I want something I start. That is the push I need, to just start. No excuses, that am busy with school and other stuff. I will strive and be consistent with every blog post and with everything I want to accomplish in life. A feeling of self-satisfaction is always the most amazing feeling to me. Like when I first posted my first chapter of my novel on Wattpad. I cannot describe how proud I was of myself. Did it get many reads, no. is it even complete, no. I am genuinely proud that I took the initiative and posted the chapters I have and still continue writing and posting. Who knows maybe someday my novels will be published. I love writing, always have and have a dream to become some well-known author someday. This will be a very short blog kinda like an introduction to the many more exciting blogs to come. I will be posting every Monday, rather I will try and post every Monday. Life as a law student trying to accomplish her dream as a writer and a youtuber is proving to be hard. But Rome wasn’t built in a day and success doesn’t come to those who don’t strive for it. Hope you all will be enjoying my blogs and little snippets into my life.